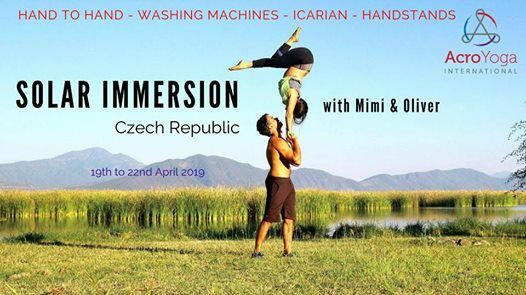 4 days, 30h training in acrobatics: standing acro, L basing, Handstand training, Hand to Hand, washing machines, acrobatic sequences and a lot of fun!! 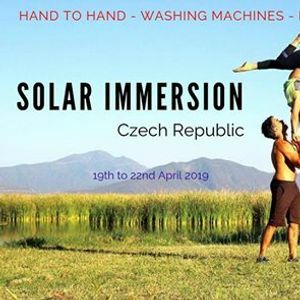 The Solar Immersion empowers students to realize their infinite potential through the powerful embodiment of acrobatic partnership. 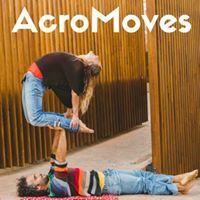 After refining foundations, we will train more precise acrobatic work, such as foot-to-hand, hand-to-hand and standing acrobatics. Get ready to push past your own personal limits in a fun and safe environment. ● foot-to-hand, hand-to-hand & 2-High acrobatics. - One month prior to the course start date: full refund minus €100 processing fee. - Within one month to one week prior to the course start date: halfback. - A week before the course start date or during the event: no refund, no credits, no exceptions.